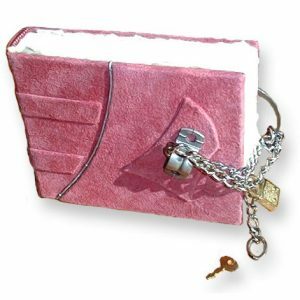 If an idea springs to mind, write it down in a spring book! 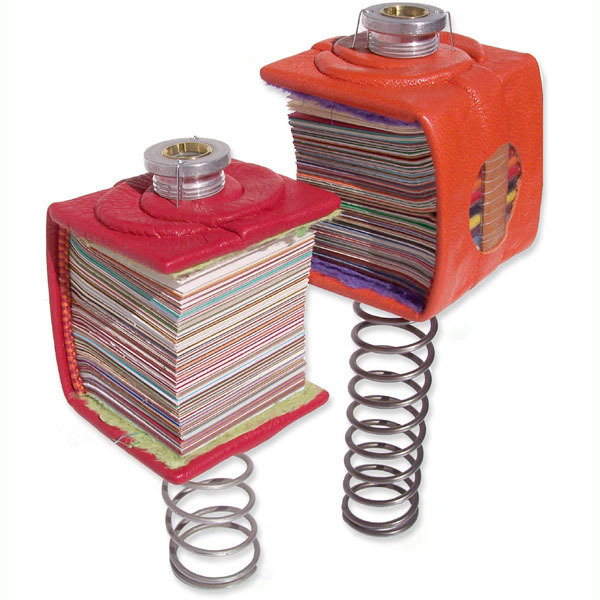 These mini sculptural bouncing books are mounted on diesel truck springs. On top of each book is a diesel truck metal component with a glass window and screen. 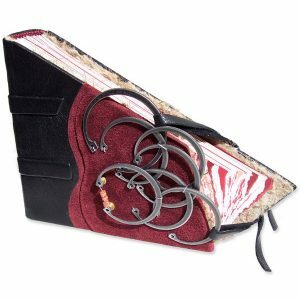 It is wired above a tiny round window through the cover, lined with a contrasting leather color. 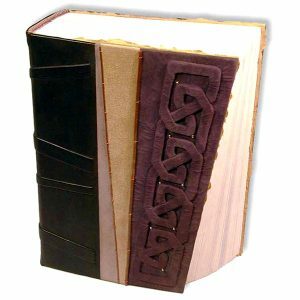 Multicolored acid-free pages are bound around leather cords, seen through the round cutout window on the spine of each book. Headbands are handstitched. Handmade paper lines the interiors as endsheets. They were $225 each. Please CONTACT me to custom order a Bouncing Book.